Snorkel with friendly sea lions in the sparkling clear Sea of Cortez. Load your kayak with only what you need and head out into the sea. Camp on the coast of the Sea of Cortez and spend afternoons exploring. 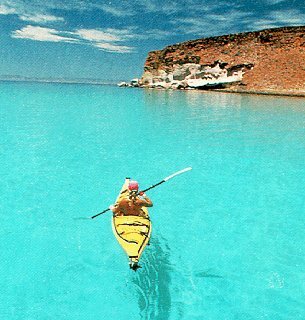 Travel picture of Kayaking near Espiritu Santo Island.